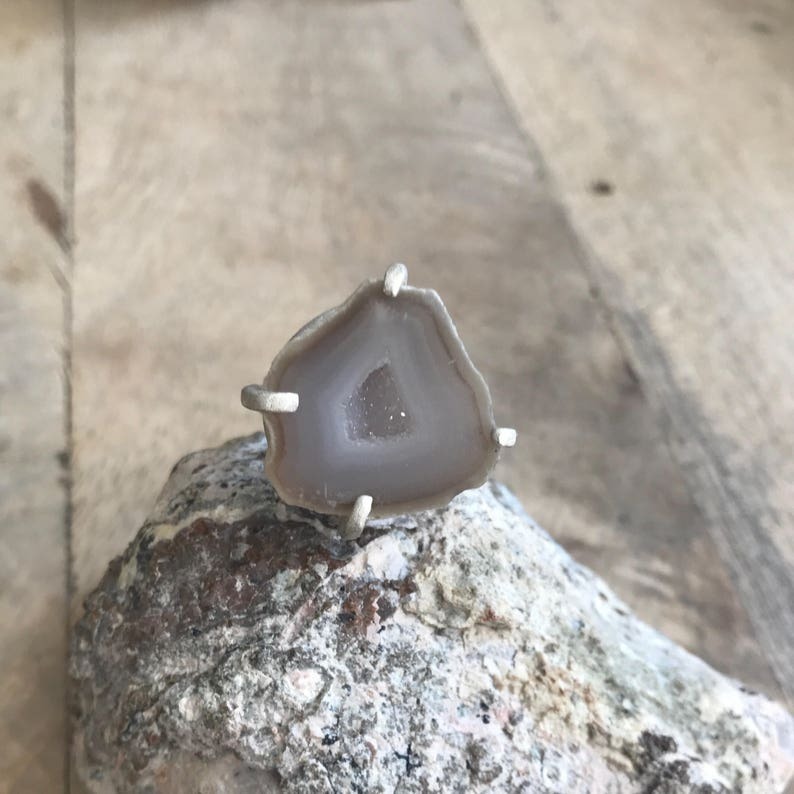 Looking for a unique ring? This is the perfect ring. It's a one-of-kind Geode set on sterling silver. It's a US size 6.